Take better travel shots on your next vacation with this terrific, 100-page e-book! From pro to hobbyist, from short weekends to dream vacations, every photographer wants to be able to capture memorable and compelling travel photos. Now you can hit the road with this fast-paced, In A Day For Dummies e-book that really zeros in on how to best capture eye-popping travel photos. Find out how to set your camera, make adjustments on the fly, prepare for all kinds of light--even get great shots with your smartphone. You'll go through this handy e-book in a day, and capture photos for a lifetime. 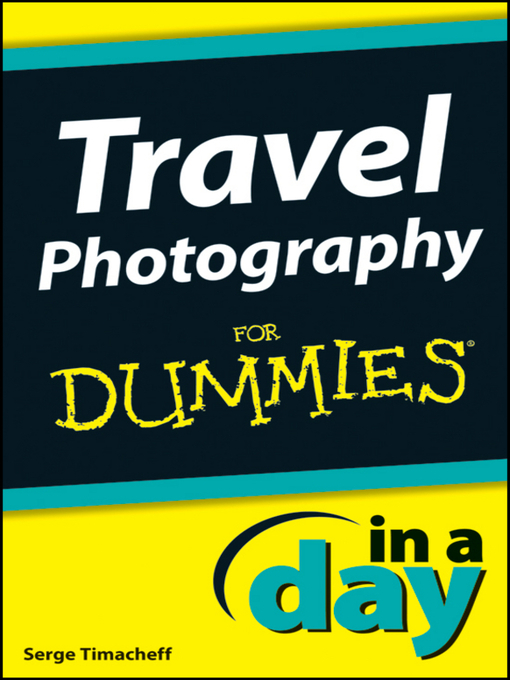 Get Travel Photography In A Day For Dummies, grab your camera, and hit the road!